Branches and limbs are heavier than they appear. A good, sturdy helmet is a must for a tree surgeon. The best chainsaw boots are not only comfortable, but waterproof and resistant to staining by oil, gasoline and chemicals. They also give protection against accidental cuts from the chainsaw. The invaluable chainsaw makes quick work of heavy branches. A chainsaw can be fueled by gasoline, battery or electricity and can have different bar lengths depending on the job. A harness should have a wide, somewhat rigid waist belt for the best support while being comfortable. It should have rings and loops for equipment and should be easy to get into and get out of. Felling axes are used, as their name implies, to take down the tree. High quality felling axes have steel heads, a broad blade and ash wood handles that feel comfortable to hold. Splitting axes should have a handle fixation that’s flexible enough to absorb vibrations from mishits. Pruning saws can be somewhat curved to get at difficult places among the tree limbs. Telescoping pole saws can be extended to take down high, hard to reach limbs. Pole saws can come with accessories like pruner ropes, pole feet, picks and pruner guards. A steady tripod ladder can help the tree surgeon access mid-level branches for limbing up the tree. Good ones can be made of aluminum or fiberglas and have adjustable legs. Rigging makes sure that the arborist gets into, stays in and exits the tree safely. A rigging kit can include mounting straps, working lines, multi-slings, pulleys, karabiners and a lowering device. These include lubricants, chain loops and reels and sharpening tools. They also include accessories for the chainsaw like extra parts, cleaning equipment, guide bars and fuel cans. A responsible tree surgeon will have liability insurance, but a first aid kit is also a must for those inevitable accidents. They should at least have gloves, bandages for wound dressing, a face shield, plasters and sterile wipes. 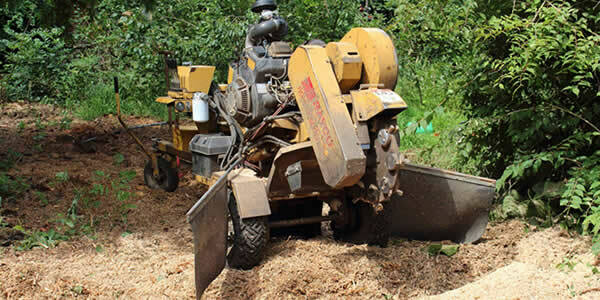 You’ll be pleased to know our tree surgeons come with all the professional equipment needed to get the job done, if you are in the Surrey area and in need of a hand with tree services then call us today for more information and professional advice and service.